Shelby has over six years of experience working with individuals and families in community mental health, residential facilities, schools, and homes. Shelby received her Master’s in Marriage and Family Therapy (M.M.F.T.) at the University of Southern California (USC). She holds a B.S. in Family & Human Development and Business Marketing for Arizona State University. 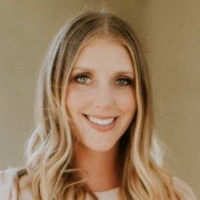 Further, Shelby developed her current interests as a Research Assistant at the Brain & Creativity Institute at USC where she built her knowledge on the neurological basis for emotional behavior and socio-emotional perspectives through neuroimaging applications. Currently, Shelby is working toward her Ph.D. in Clinical Psychology focusing specifically on Neuropsychology and works at the Stress, Cognition, Affect, and Neuroimaging Lab at Oregon Health and Sciences University. Shelby’s approach is grounded in compassion, mindfulness, and social-emotional development. Shelby combines her mindful approach with the latest neuroscience findings to help individuals find a grounded, more cohesive way of living. With her understanding of neuroscience, Shelby uses a social-emotional lens to help individuals to understand their own neuroplasticity- the brain’s ability to “rewire” itself by forming new neural connections throughout life. Shelby has a deep understanding of the process & development of emotion, cognition, behavior, and social challenges. Shelby seeks to view an individual as a whole and understand the environment, relationships, and biology that makes them unique. Through Shelby’s grounded and whole-person approach, she seeks to foster the self-esteem, resilience, awareness, and well-being inherent in the individuals she works with. I think face to face counseling is great. However for anyone who can’t afford it this is a wonderful alternative. Would you like to write a review for Shelby Alsup? We'd appreciate if you can spend a couple of minutes to write a short review for Shelby Alsup (LMFT). This review would be shared with Shelby Alsup. It may also be posted in our website or in Shelby Alsup's profile but it would be anonymous and your identity would be kept completely confidential.